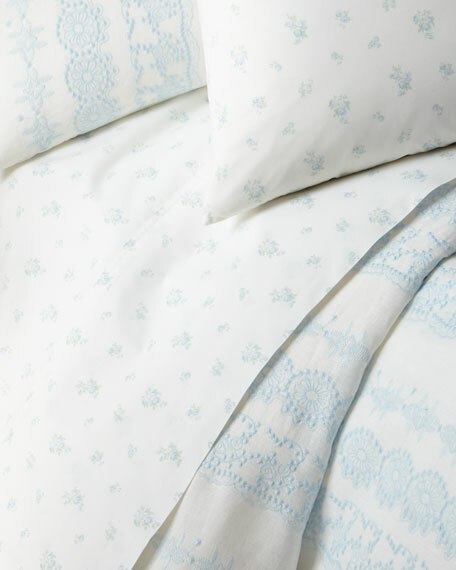 The Rachel Ashwell Petite Bouquet Flat Sheet is made of lightweight, breathable 100% cotton poplin for refreshing repose. The lovely design features a soft, blue palette of delicate bouquets to create inviting appeal. The bedding staple is elevated with optional embroidered monogramming in several distinct styles for a personal touch.